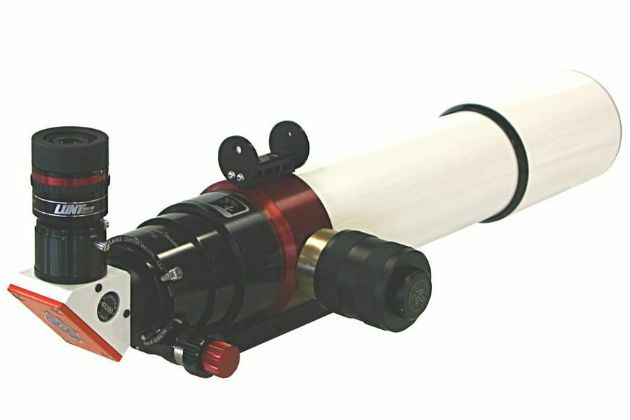 Complete H-alpha Solar Telescope with 80mm aperture and <0.7 Angstrom bandwidth. With new air-pressure tuning system, zoom eyepiece, Sol-Searcher, Starlight Instruments Feather-Touch focuser, and B1200 Blocking Filter. Fine adjustment is achieved with Starlight Instruments high-end focuser Feather Touch with 10:1 reduction.